The Lunch Lady and the Librarian (one of his many LL books) by Jarrett Krosoczka is a graphic novel that takes place in a school. It is high interest and high action! 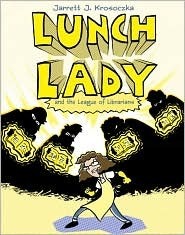 The lunch lady leads a double life as a superhero. There are lots of cool gadgets like taco-vision night vision goggles, hover pizzas, and sonic boom juice boxes. In this book the librarians are up to no good. When they are discovered by the crime-fighting lunch ladies, they unleash characters from stories. Fun! Fun! Fun! I was so lucky to have been able to meet Jerrett in person. He told us all about how he became an author and illustrator. He has a great sense of humor. He even gave us painting lessons. Here are a couple of pictures from my day. Look JarrettKrosoczka up on his website. Can you believe that he has his very first book that he made when he was in third grade? You can see it on his website! 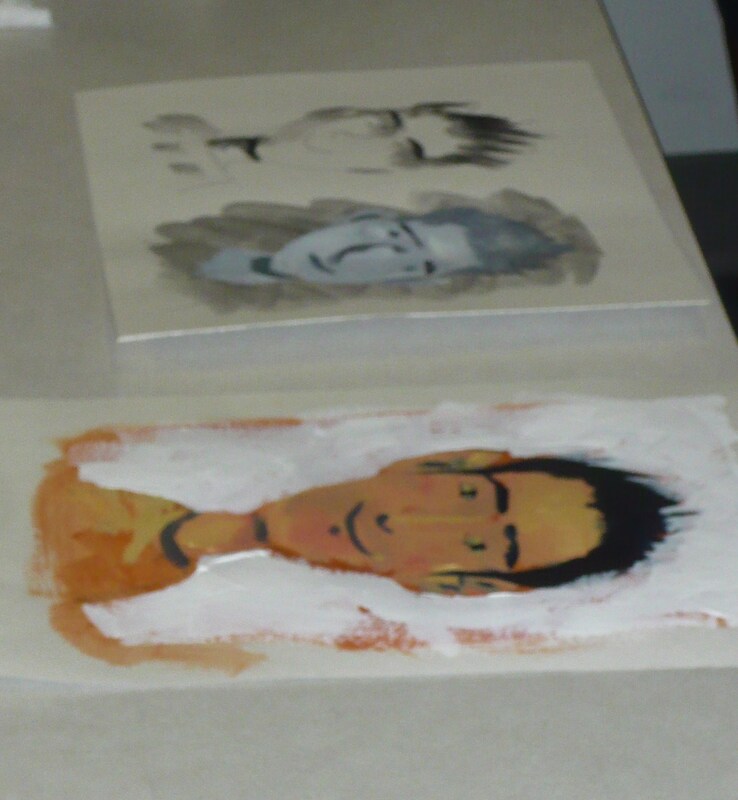 These are Jarrett’s self portraits. He painted these so fast! I won’t show you mine. : ) He taught us that we don’t need to use black or white when painting. We mixed all our colors for our final color portrait with no black or white. 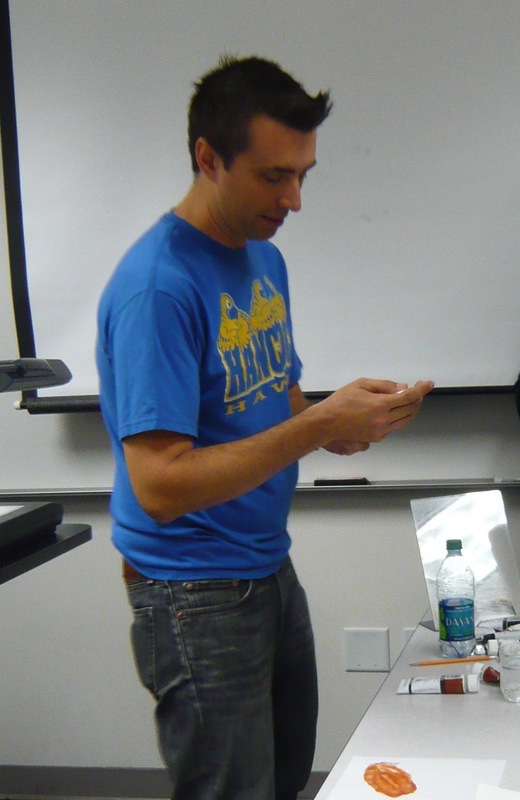 Here is a picture of him autographing my books! What a great day! Aw, come on Tracy, show us your picture! Thanks for sharing this. Sure wish I could have come to the art seminar - what a fabulous experience.